OTTAWA — Canada’s largest-ever automotive recall has grown still larger as manufacturers receive new supplies to replace potentially lethal airbag inflators in cars, trucks and now even motorcycles. 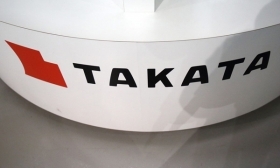 Recalls involving nearly 900,000 airbags in vehicles from 13 manufacturers were posted Thursday on a Transport Canada website dedicated to defective inflators made by Japan’s Takata Corp. and linked to as many as 16 deaths worldwide, though none in Canada. To date some 5.2 million airbags have been recalled in Canada to replace inflators that can degrade over time and exposure to humidity and explode with too much force in collisions. The majority of the latest recalls are for Honda, Toyota and Ford vehicles. In a Jan. 11 news release, Honda Canada said its recall is exclusively for passenger-side airbags, including some in vehicles in which driver-side airbags have already been replaced. Honda also is recalling 260 airbag-equipped Gold Wing motorcycles from the 2007 and 2008 model years. “There have been no Takata airbag inflator ruptures involving Honda motorcycles globally,” the automaker said. The expanded recall follows a timetable set out by safety regulators to ensure replacement parts go first to regions with high heat and humidity. It takes in such top-selling vehicles as the 2006-2008 Toyota Yaris, 2008 Mercedes C-Class and 2007-2008 Mazda CX-7 and CX-9 as well as limited-numbers cars including the 2006 Ford GT and 2012 Tesla Model S.
Earlier this month the airbag manufacturer agreed to plead guilty to criminal wrongdoing and pay US$1 billion to resolve a United States Justice Department investigation. Much of the settlement will go to automakers to help pay for the recall costs. Three Takata executives face separate fraud and conspiracy charges in the United States for allegedly supplying false test reports to automakers.